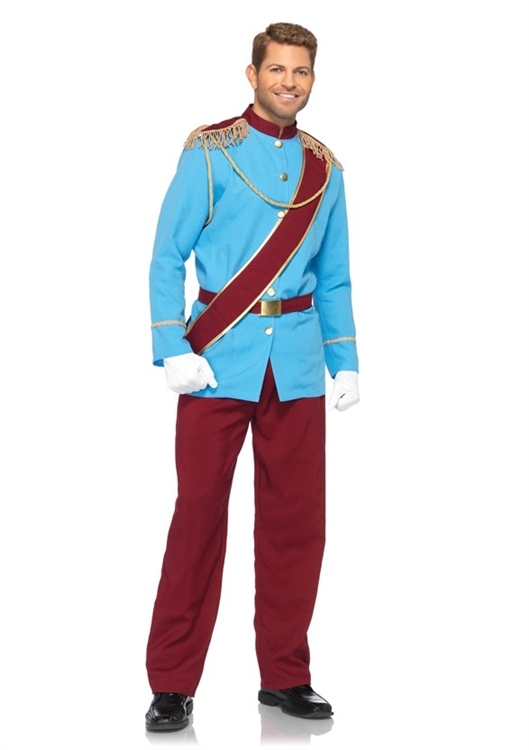 A dream is a wish your heart makes, and this Disney Prince Charming Costume by Leg Avenue is every princess's dream come true! The licensed Disney costume includes blue jacket with fringed epaulettes and gold rope detail, maroon sash, matching pants, and belt. It has everything you need to sweep your princess off of her feet this Halloween. Available in three adult men's sizes: Small, Medium, and Large.